FSC: What inspired you to go into film scoring? BT: The thing that inspired me to go into film scoring, I think, was really the combination of the two things that I really loved growing up, which were movies and music. I really go turned on by the big, fun movies of the era – all the Spielberg films and the Lucas films with Star Wars and E.T. There are really fantastic scores in that era, and John Williams, the Back to the Future movies and the Zemeckis stuff with Alan Silvestri was fantastic. I was also a big Hitchcock fan, so all the Bernard Herrmann scores, I got really into Maurice Jarre and electronic scores, like Vangelis, and then there’s James Horner, and on and on, you name it. I think it developed out of my love for watching film and, as I went deeper into the movie catalog and the movie music I was interested in, I would buy soundtracks. At the same time, at a very young age, I got interested in musical instruments and I tried to figure out how to play different instruments, like piano, drums, and guitar. That led to many other instruments, and the one thing I found that was really interesting was the way drama connected to music in an emotional way. I often would do this — I didn’t have films, necessarily, on tap like we do now with Netflix or iTunes, where you can easily watch something later, so I would listen to soundtracks to re-experience films. I remember memorizing how dialogue and scenes lined up, be it Rocky or Star Wars or Vertigo. I could imagine and play the movie in my head, and I often would reorder the soundtracks if they weren’t in chronological order (laughs). In the early days, I started to learn to play instruments and then I started composing my own music unwittingly. For fun, I would read a book and write these scores to them. Strangely enough, one of them I actually ended up scoring the movie version of later in life, which was kind of interesting. I was a big fan of the Dune books, and of course there was the Dune score by Toto that was floating around with the David Lynch version of the movie, which was kind of weird (laughs) and fascinating in it’s own way. I thought that was great, but I’d already been reading the books and Children of Dune and Dune Messiah were in those books, so it’s just odd that I ended up scoring that once they made it and Greg Yaitanes directed it. Anyway, so all of this led to a fascination with music and how it related to film, and I could see, writing music, how much film music and film composition could really tell a story on its own, being as that I was used to listening to scores away from the films. Then, as time passed, the more I wrote, the more it started sounding filmic, and that influence made it so that my music sounded the way that I enjoyed listening to music. It led to it naturally. FSC: You’ve had a huge impact on the Marvel Cinematic Universe through your scores, in addition to working on projects like Teenage Mutant Ninja Turtles. Have you ever been afraid of getting the composer version of typecast as the superhero composer? BT: You know, I’ve heard that. In a sense, I’ve never really thought about it from any perspective, only because I love doing them so much. Again, this comes from feeling lucky that I’m writing music for things that fascinated me growing up and through adulthood. I loved comics and graphic novels growing up, and a big part of that were, of course, the Marvel comics that go way back and continue to expand the universe. I think there is a really deep well there. Sometimes you hear people say that there are a lot of movies about superheroes, but the amount of stories and the back catalog is so much deeper than, I think, people realize. So, I don’t really think about that because it is a type of music that I really do love to compose. “That” music isn’t really one kind of music. There is, I suppose, a general feel or vibe to a main theme, perhaps. It needs to be rousing, adventure, and fantasy, combined into a sound that you need for a superhero. But, at the same time, there is so much that goes into these stories that you can really do all sorts of things with. You can explore world music, you can do corral music, you can do interesting smaller pieces like, for instance, “Loki’s Theme” is like a harp solo with avant-garde strings playing in the background and a choir kind of detuned. These things wouldn’t naturally be the first things you think of when people think of the main theme, right away, when they think of those scores that you mentioned that I’ve done. But then there’s all these other things that are not as in your face in terms of the first thing you think of when you think of these scores, but are certainly part of the tapestry. I love those nooks and crannies of writing music for these epic canvases. In a way, it’s like with me being that I started thinking about film music with Star Wars, the trilogy, and also with Close Encounters, which was one of my favorite scores. I relate it to that early influence for me, so I don’t think I could ever really get tired of it. If people think that I’m the superhero guy, then they don’t listen to my other scores (laughs). That’s on them. I’ll continue to write in different genres if the directors will have me because I do love writing in all different genres, and certainly, superhero movies are one of them. FSC: Absolutely. For what it’s worth, I do agree, I don’t think that is necessarily the case. Look at the whole picture with things like Now You See Me, which of course I loved, and Truth, which we’ll get to in a minute, and Into the Storm, and all these other movies, it’s such a broad range. So, I don’t think that’s the case, but I do hear people saying that. BT: Oh yeah, for sure. So do I.
FSC: Speaking of Truth, it isn’t quite like Furious 7 or Avengers: Age of Ultron, so is your approach to each film generally the same or do you change it to suit your expectations of what that film will be like? BT: I didn’t really have an idea of what the music should sound like for Truth when I started discussing the film with James Vanderbilt, the director. I had a general sense that it was going to be a tighter, more intimate sound, but knowing that there’s a thriller aspect to it, being that it’s a true story where things kind of go haywire. I was thinking about the investigative aspect to the story when I read Mary Mape’s book and then James’ screenplay. I got into that mode where I was very interested in some of the movies that I really enjoyed that had conspiratorial flavors to the scores, like JFK, John Williams’ score to that, for instance. The story read very much like a page-turner, like All the President’s Men and stories like that. The thing that was unexpected was when I watched the film. James and his editor showed me the film — actually, played the film and left the room. They wanted me to see it on my own, so I was in a room by myself screening the film. They put zero temp music in it. BT: It was completely dry in terms of the music and just the performances of the actors. This was really interesting to me, because the thing that I noticed was that the way he directed the film and Cate Blanchett’s performance, Redford’s performance, Topher’s, and Elizabeth Moss’, and all of them, there’s this really emotional side to the story that I, for some reason, didn’t see when I was reading it. And so I knew that the music really needed to reflect this. It needed to have a strong emotional component to it. I found that the music ended up having three different goals, really, when I was starting. Three different musical responsibilities. One being the investigative, journalistic, news-like music, and then there was the political/militaristic vibe that represented the branches of government that they were investigating. Then there’s this father/daughter kind of family, not literal father and daughter, but the relationship between Mary Mapes and Dan Rather and this team, and how their lives start getting ripped apart, it becomes very much along the lines of needing some very poignant music. So it was a bit of a surprise. The movie took me to a different place than I thought I would go for sure. FSC: Truth is (no pun intended) truly a fantastic score, it really is. One of the things that I loved was how parts of it really sounded like, well, the news. FSC: How did you go about capturing that feel? BT: You’re right, you’re hitting upon what I was referring to just now, which was the three categories, or goals, or styles in the movie, being the journalistic side of things. There’s probably about, maybe a third of the music, maybe a little less in the movie, that has that tone. It’s often when they’re investigating things, when they’re trying to track things down, information. You’ll notice there’s these ostinatos in the harp and the piano — consciously, or maybe subconsciously, I’m not sure which came first, it’s a bit of a chicken egg, but basically the idea behind that being journalistic was a literal one. There’s something to that “dun din din din” sound that sounds very metric, like typing. The thing I noticed is what seemed to work the best at representing the journalistic trade of typing when you don’t literally see them doing it is doing things that simulate typing, like piano, pressing of the keys and fingers in a rapid motion, doing piano ostinatos seemed to fit the bill. Not just in an intellectual way, but somehow evoke something to that effect. I think that’s why it sounds kind of “newsy,” when you have the harp — and then, I had the strings support the ostinatos and the piano, and it became the orchestra simulating a typewriter typing. I think that goes a long way to sound like the news. And then, certainly, the one piece at the end, which is the main title, was all the other themes — actually the theme of Dan Rather and Mary Mapes and all these other themes that were actually not in that style in the movie. I did a rendition of those themes, which were very different, in the news style that almost sounded like a news theme to go along with Truth, if it were a news program. The other two-thirds of the score being the emotional component and the political component, those got enveloped into the news style of music. But yeah, I’m glad you noticed! FSC: What was your experience working with James Vanderbilt like? BT: James is an old compadre of mine. We know each other well within film and outside film, which is great. I’ve been working with him for twelve years, on and off, on movies where he was writing the film and I was composing the score. We had not worked in this capacity before as director and composer because he hasn’t directed a film until now. The thing that I found interesting was that there was a common language there more than I would’ve guessed. I think, basically, because the screenwriter and the composer are connected as bookends in a movie. One writes the first word before anything’s filmed, and the other writes the last note. It’s kind of the last thing that’s put into the movie. We have a connection of opposites, or a balancing of the pendulum on two sides of the swing. James is such a cool guy, just a good guy to hang out with. And, he’s really brilliant. His knowledge of things is just amazing, and he’s a fellow film and film music nerd. We often just go on tangents. It’s funny, we’ve worked together for a long, long time, and it was great to do it in a different capacity with someone who really knows his stuff. He’s a great collaborator. FSC: What was your favorite achievement in the Truth score? BT: Oh, you know, that’s a good question. I think the music tells the story and in two ways. That was the goal, at least. I guess the greatest achievement of it was, two things need to be done with the music that James left room for me to do. This was not a matter of fixing the movie, this was a matter of design. James left the responsibility in my hands, which was kind of scary (laughs). He had a lot of confidence, which was great. More confidence than I did in me. He laid it out so you needed to have a great deal of clarification, subconsciously, with the music and the storylines, being that there are a lot of names and a lot of characters because this is a true story. You had to be able to tell the difference between what General, and what Commander, what Lieutenant, and this and that. A lot of clarity needed to be given. The music had to do this. Now, it’s a subconscious thing that happens, but it certainly is effective with thematic scoring and having certain sounds used with certain characters and what not, in the same way, through repetition of things, our brains associate, which lots of studies have shown, with visuals. Like, where you would play a sound and you would see a color, they’d flash a color in front of the eyes of a child and you would do it many, many, many times. Over time, they would naturally associate, not even realizing it. You’d play the tone notes and they would say green or blue or what not. Like an idiomatic response that you see when you don’t even realize that you have memory that you don’t know you have. A good example would be typing, ironically, with the journalistic thing. Your fingers just rip away with finding the letters on a keyboard when typing something out. If you then were asked to just write the broad grid of where all the letters are on a keyboard, pretty sure 99% of the people would not be able to do it. Yet, your fingers know where they all are! So, I think what happens with a score like Truth, where you have that much information, I was trying very hard to clarify things (laughs) so the viewer uses a little less effort to glide through the story, which made it more emotionally impactful later when you really feel like you’ve gone through this journey. One of the things that this does, thematic writing, it instills a sense of history that you don’t get when you’re in the theater, unlike a TV series where you might have twenty episodes to get to know the characters. You’re watching something and you really get into it, you become, in a way, friendly with the characters on the screen and you feel like you really know them. A movie like this, which was about two hours, is an incredibly short amount of time to get emotionally attached to someone. Very rarely in real life would this happen. If you’re lucky, you may have two or three times in your life where you sit down at a dinner and afterwards you think, “Wow, I feel like I’ve known them all my life.” But most of the time, it’s not that way. It takes time. Music is this steroidal accelerant that you inject (laughs) into a movie with themes that make you really feel like you know these characters longer than you actually have in terms of you sitting in the theater for only a few hours. So that was a big goal, hopefully we achieved that because by the end of the movie, if you count the credits, I think the last twelve minutes, or so, of the movie, there’s no dialogue, no sound effects. It’s just music. The whole coda of the film is done with visuals and music, then it goes into the end credits. But there’s quite a lot told with just visuals and music. James, by design, had left room for me to do this, he left room for the score to do this, and at the end of the day, I needed to pull that off. Otherwise, the movie wouldn’t really make any sense, in terms of that, by design. Or, it might not have an emotionally satisfying ending. Hopefully it did, and if people watch it and feel that way, then great. That would make me really happy (laughs). FSC: It’s great to hear that the opportunity really was there for the music to take the foreground. FSC: And at such an important moment, it’s great. BT: Yeah, it really was. FSC: I know before you talked about how Star Wars was one of the things, along with Close Encounters and others, that really helped inspire you for this. I don’t know if you are even aware of this, but there has been a little bit of talk about the possibility of you scoring one of these Star Wars spinoff films. FSC: So, hypothetically, let’s say that you get that job. How do you think you would approach scoring a film like that which already has such an iconic musical atmosphere in the franchise? BT: Well, this would be fantastic. Certainly, we’ll see what happens. But, the thing about Star Wars that is indelibly connected are the themes. For me, it would be job number one to make sure that those lived on and were part of the expanding rebirth of the franchise. To me, John Williams’ work would be central, and then, as new characters are introduced, they would of course require new themes. I think it would always need to be done from the perspective of fitting in harmonically with the orchestration style that John uses and employs on those films. I would want to keep that alive and it would be a dream, of course. I kind of live and breathe those scores. Star Wars was the first score to really launch my, as many people, launch my interest in film music. FSC: What’s one of the worst things to go wrong when you were working on a project? BT: (Laughs) Let’s see here. I distinctly remember, going all the way back to my first film. The first film I did was called Bartender. It was actually before Six-String Samurai, which most people think was my first film. This was a small film. Scoring it was a big break for me. I get to score a film, so excited! I worked on the score for something like nine months. It was kind of a massive score. It had a lot going on. I had recorded many, many songs for it. I don’t remember how many songs, something like twelve or fourteen songs with vocals and all sorts of things. It was more of a traditional classical style, orchestral score, along with a bunch of songs which ranged from Hip-hop to rock to club songs. It had everything in it. It was all approved and everything was cruising along. We hadn’t dubbed in the movie, so the music wasn’t mixed in with the sound effects yet or anything. Before we went to go dub the film and mix the music in with the sound effects, my drives died. And my backups of the hard drives died. I had some kind of triple redundancy — this was back in the day, I don’t know, but something happened. Everything was lost. I tried to get a drive company out of Palo Alto to recover it, and they recovered like three audio files (laughs). Total disaster. I didn’t tell anyone except my closest people. I didn’t tell anyone on the film that this had happened. I just went back, recalled all the singers, all the musicians, and recorded under the radar (laughs). I did everything in three weeks that I had done in nine months over again. It was pretty close to the same. No one noticed. We dubbed the film, everything was fine. Then, I would say fifteen years later, I was having lunch with the director, who’s a good friend of mine, and I told him the story just to have a laugh. He actually felt so bad, his eyes welled up, he just felt so bad for little Brian, back in the day, going through such a trauma. The good thing was the worst disaster I ever encountered was the first disaster I ever encountered. FSC: That sounds like quite a recovery too. BT: Yeah, it was a pretty good recovery. Yeah. I felt if I didn’t recover, that would’ve been it. My first movie would’ve been my last. FSC: What direction do you see the future of film scores going in? BT: I think it’s going to be like the late 70s, in a way, or the second half of the 70s, where you really have music getting infused into scores. There are certain areas where scores are much more similar. I think we’re swinging toward more variety. You had in the 70s everything from the Lalo Schifrin style, the Ennio Morricone style, experimental things with Jerry Goldsmith, you had traditional, really Wagnerian and Holstein kind of music with John Williams doing his thing and the advent of electronic scores happening with things like Tangerine Dream and Vangelis — there was this boom of just “whoa,” where things were all in different directions and I think people aren’t as afraid of doing things that are not right up the middle now. I think people, even on big films, are looking for something that just fits the film. Maybe that’s a score that done will all-monophonic vintage synthesizers. Maybe that means instead of somebody doing a ninety piece orchestra, doing a chamber orchestra because that sounds interesting for the film. I feel like there’s going to be a lot of variety in the scores. FSC: What is the best piece of advice you’ve been given in your career? BT: I think my perception of this has changed over time. I think that there’s something to the idea of — both my agents, who I’m very close with, and John Williams, who they represent, have always told me this mantra, which seems very simple. They always say, “It’s all about the music.” Not sort of about the music, it’s all about the music. Regardless of what else is going on in your life, in your career, in what kind of deal you get, who’s scoring what thing, or what film does what at the box office, you just — I took this to heart in a way I don’t even think they realize. The way I interpret that is, no matter what the film is or the project is, you treat it like it’s Citizen Kane. You respect the fact that you’ve been brought on, and you really, no matter what, give it your all. You try to continue to challenge yourself in that way. There was a time in my career when I was doing a lot of films that weren’t doing very well at the box office, which was fine. I didn’t let that throw me. I really just wanted the score to come out very well and help the movie as much as possible. I think that’s probably helped me more than anything. BT: It can. I do play a lot of instruments on my scores. You can imagine when you work with a bunch of musicians, which I do often, sometimes they bring something different to the table that I never would have thought of, which is fantastic. But if I have something very specific in mind, especially when it comes to instruments that I play a lot, things like drums, piano, guitar, and things like that, the good thing is that I have a direct line to the composer — myself. I can be as hard on myself and get as specific as possible and try to get it just perfect. That being said, sometime I fire myself and find someone who might be better suited for that style, which you need to be able to do. It’s all based around trying to get the best score possible, so however that might work. But, he is right, on Tokyo Drift, I did play a lot of instruments and had a good time with it for sure. 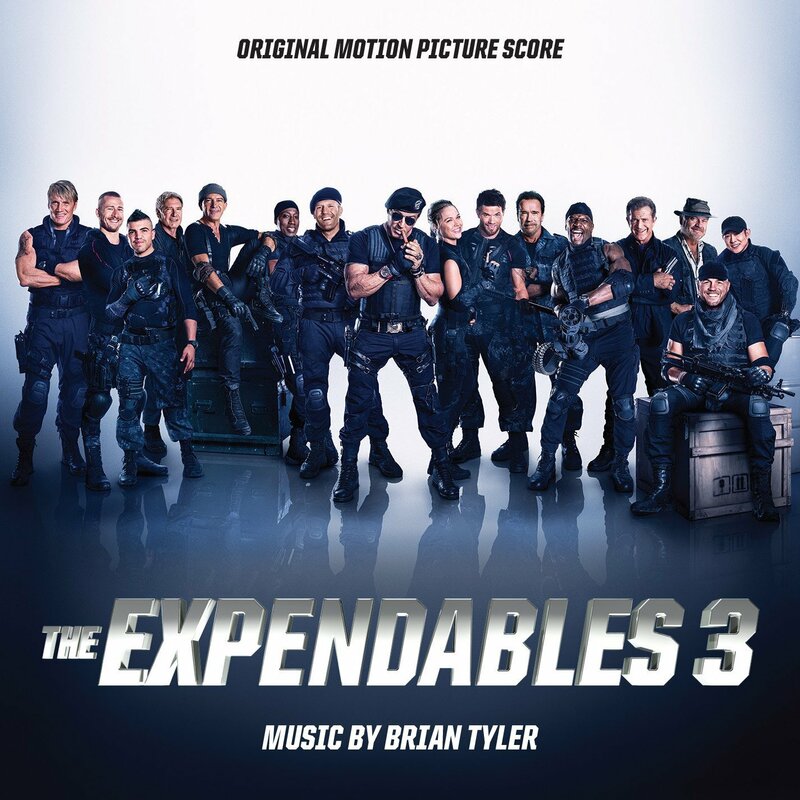 Brain Tyler’s soundtrack to The Expendales 3, released by La-La Land Records and Silva Screen Records, is a good example of what a modern-day action score should be like. It’s very motivating. It’s the type of music that puts you on the edge of your seat by listening. There’s more to it than just that, though. There are also softer, more retrospective moments as well. Tyler exhibits a great blend of styles here, combining pounding bass with some pulsating strings, accompanied by angry brass. Don’t forget the track with the piano, though! If you are easily bored with percussion and bass soundtracks, regardless of any good accompaniment, then you’ll likely not go for this since these elements are used in the forefront. 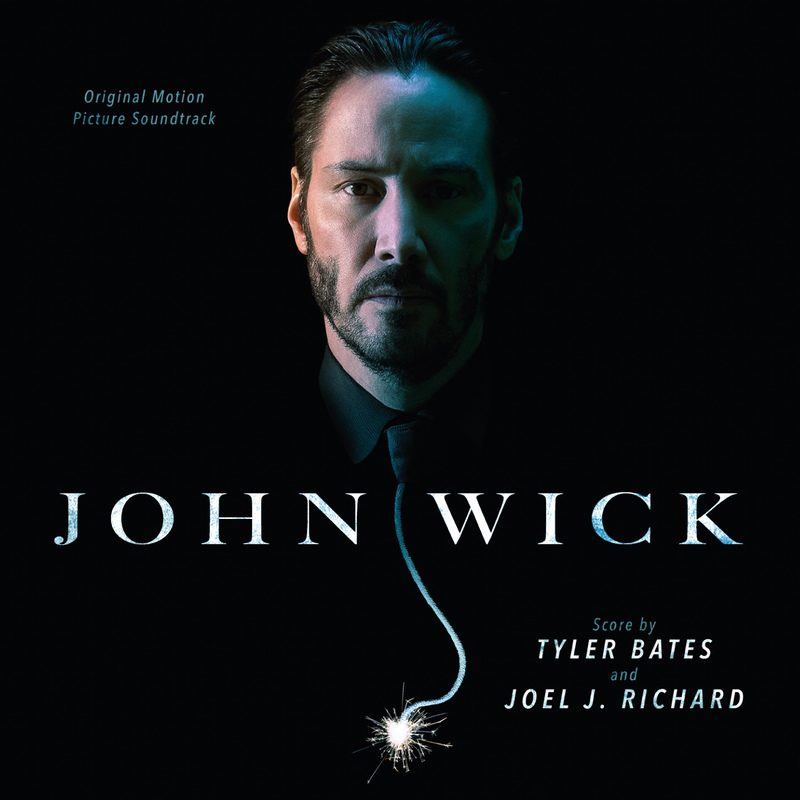 However, if you do like action music, this is great for you. Even though it does fall into the “action score” genre, it has uniqueness to it. It isn’t just some generic stock music used for an action film. There’s a lot of thought put into this OST. Although it isn’t easily “hummable” (what action score really is), it can be easy to travel into the music. While it is mostly dramatic, suspenseful, and full of action, there are some really cool surprises in there as well, such as “Galgos Grand Entrance.” You can really get the theatrical power feeling from this score. The Expendables 3 is yet another great job by Brian Tyler. Once again, he proved that Avengers: Age of Ultron is in fantastic hands. The soundtrack for Into the Storm, to be released soon by Varèse Sarabande, gives the listener a rush. Parts feel like a storm is on the horizon while other parts feel as if you’re in the middle of a storm with extreme intensity. This OST does a wonderful job of capturing the feel of a storm in both its dark intensity as well as its almost calming serenity and natural beauty. It builds power as it progresses and once it reaches a peak, that level of power can be used throughout as needed. The score has a type of dark and mystic quality, not like that of adventurous or majestic scores. Tyler makes great use of strings, brass, and percussion throughout. In particular, the strings have a great and consistent quality in their use that lasts throughout the soundtrack as a regulating force. Although this is heavily intense and storm-like, which obviously works with the film, it is also quite beautiful at times and a well composed piece of art by itself. Not all of it surrounds the aspects of a storm. Certain tracks, such as “Humanity Arising” focus more on, well, the human element. There are also moments of a more personal nature. Other tracks, like “The Titus” are nice change that adds variety to the theme but still fits in as good music. Brian Tyler’s soundtrack for Into the Storm is a perfect fit for the film – so good that any composer would find it a challenge to capture the same essence that he did in this achievement. Although the stories are very different, listening to this could also get you very excited for Tyler’s upcoming work on Avengers: Age of Ultron. In the end, it can be put very plainly – it’s a very well done soundtrack.